RULE: Add Clean Protein and Greens to Everything! Don’t feel like cooking a 3 course meal? Bored of your usual fare? Feel hungry or sluggish after your meals? Try this simple solution. Add Greens and Clean protein to everything! What do I mean by clean protein? I mean hormone and antibiotic-free, grass-fed dairy and meats, wild, low-mercury fish, beans, nuts, seeds, hormone and cage-free eggs. Protein boosts metabolism and keeps us from feeling hungry longer. That means less unhealthy snacking. And greens… well they are about THE BEST THING we can give our bodies! Micronutrients galore that lower blood pressure, aid in cell repair, anti-aging, anti-cancer, the list goes on. 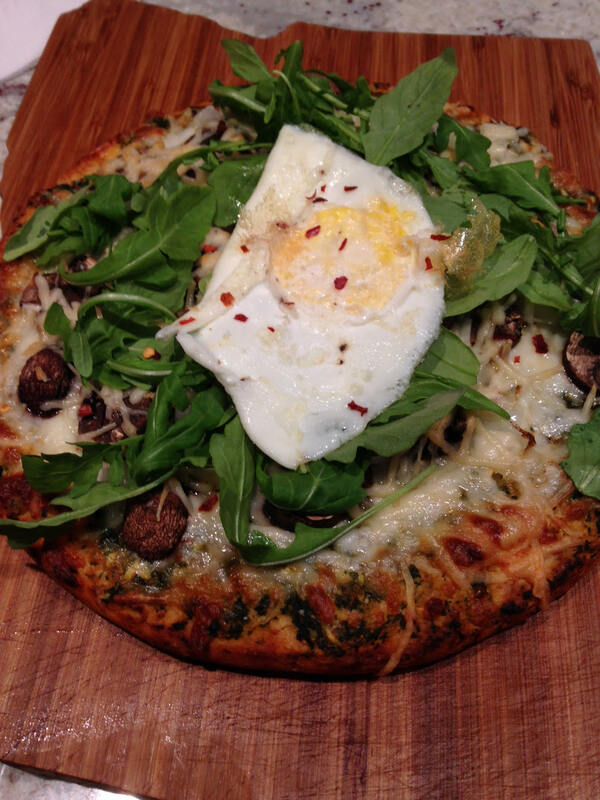 My husband impressed me when he topped his usual frozen pizza with arugula and an egg. He is listening! Add nuts or fish or meat to salads. Add seeds to smoothies. Add spinach to soups. Onions and mushrooms to pizza. Veggies to soups and sandwiches. How will you add your Greens and Clean Protein? I’m good at greens! Protein never seems to go far enough in our growing family! My baby ate half my cod filet the other day! LOL!